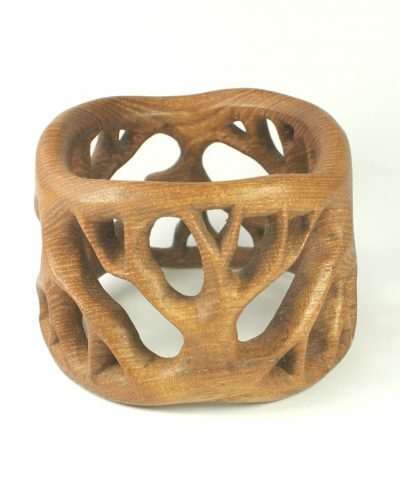 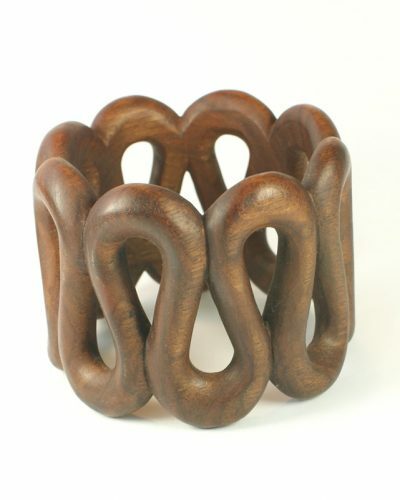 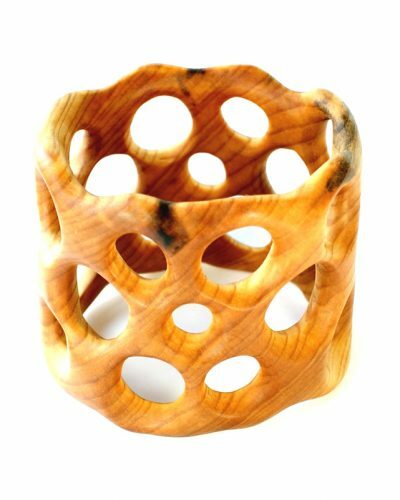 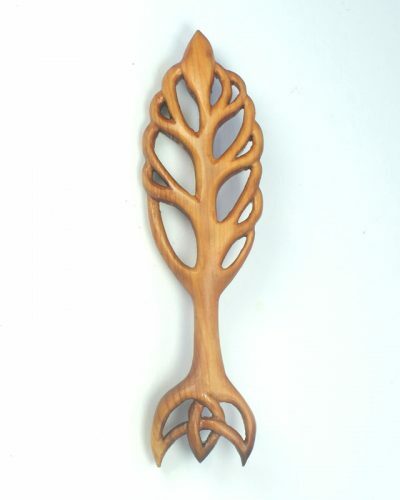 “Organico” bangle/bracelet, hand carved from solid English walnut – surprisingly light in weight. 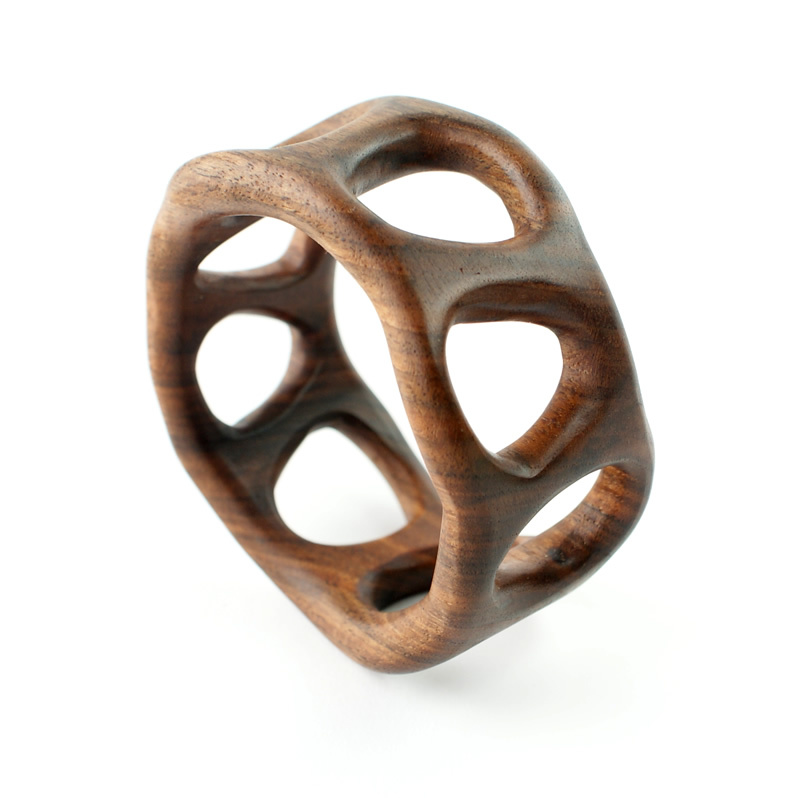 Internal dimensions: 69 mm diameter 40 mm deep. Please check size carefully (your size made to order).